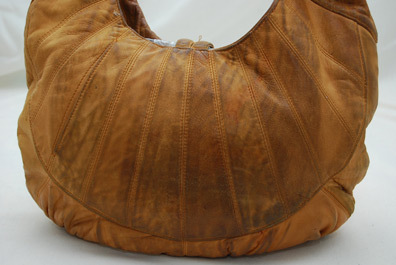 This brown suede and leather Coach bag came in with oil stains on it. 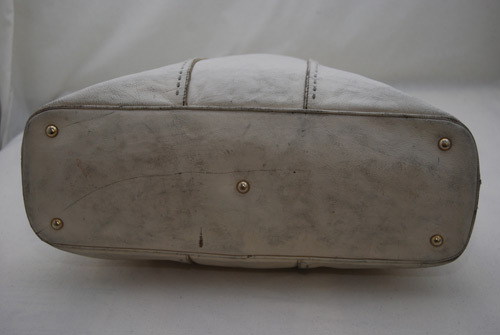 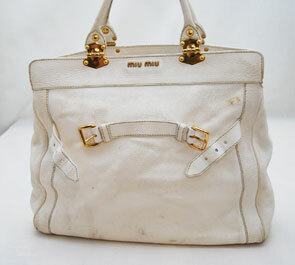 Our specialists were able to remove the oil from the suede as you can see from our before and after pictures. 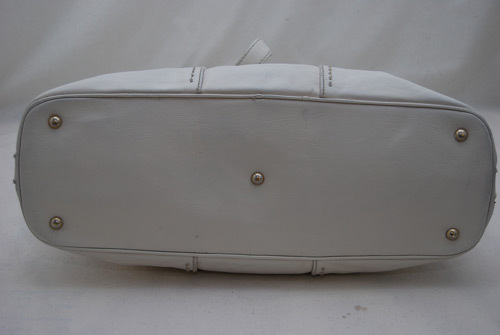 A red leather Valentino bag came in with BBQ sauce stains splattered on it. 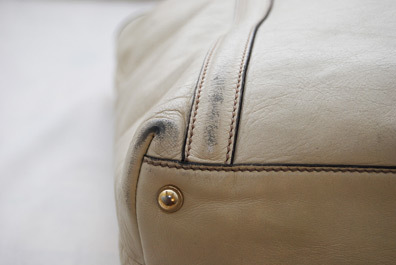 We were able to remove the sauce stains without harming the color of the leather. 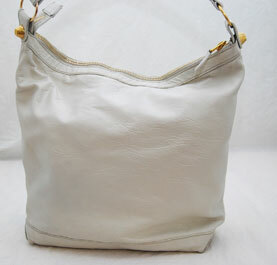 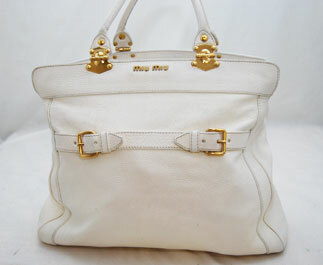 A dark, coral-colored leather Coach bag came in with a large stain on the bottom of the bag. 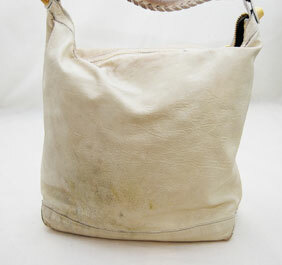 Our master mixers in our leather department were able to mix a matching color to the bag to remove the stain. 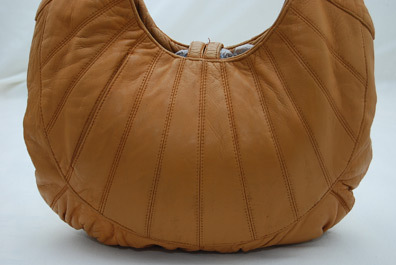 This brown leather Carolina Herrera handbag came in with a stain on the corner of the bag. 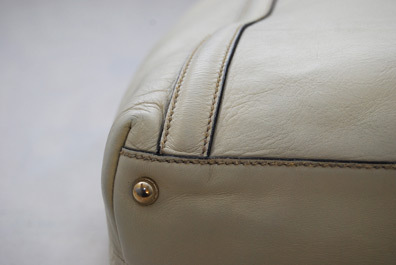 We were able to successfully remove the stain without harming the “CH” pattern in the leather.